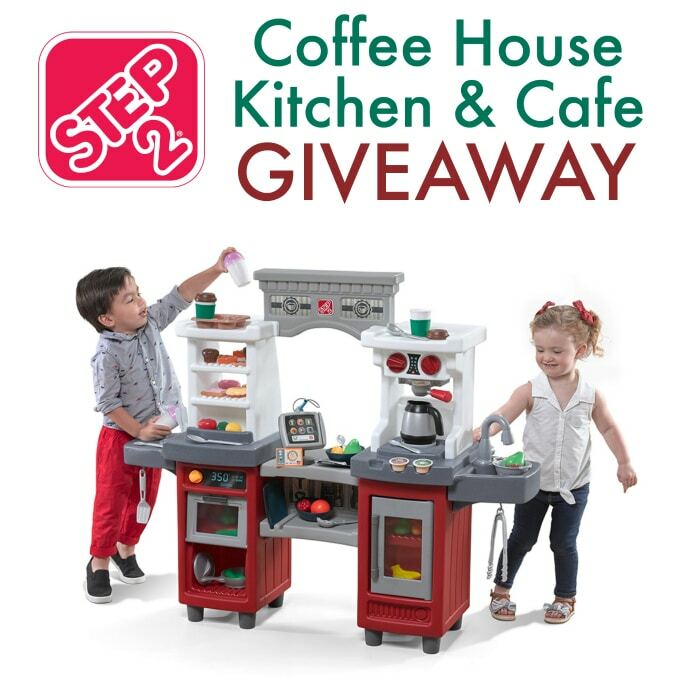 Win the Step2 Coffee House Kitchen & Cafe! Step2 came out with a couple new adorable kitchens this year! One of them is the Coffee House Kitchen & Cafe, and Amber’s got a full review for you over on Viva Veltoro, along with a recipe for mini donut muffins. Be sure to check out her post here. I’ve partnered with Viva Veltoro to give one lucky reader a Step2 Coffee House Kitchen & Cafe of their own! Your little Barista will love running their very own café with this double-sided Play Kitchen and Café by Step2. Kids can take orders at the counter using the credit card machine, and then prepare the order by using real-looking grown-up toy appliances (like a microwave, fridge, and espresso maker). At the end of their shift, everything’s kept spotless by washing up in the little side sink. The fun never ends! Accessory set included. Open to the US only, ages 18 and up. Ends 9/07/18 at 11:59 PM EST.